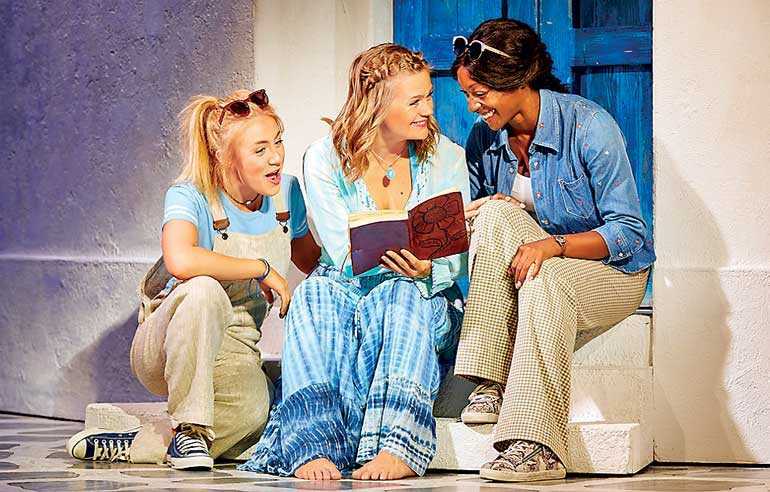 Following the immense success of The Sound of Music, Cinnamon Life is set to bring yet another iconic West End Production to Colombo – Mamma Mia! A tale of love and laughter and a daughter’s trip down the aisle with three possible fathers, Mamma Mia! 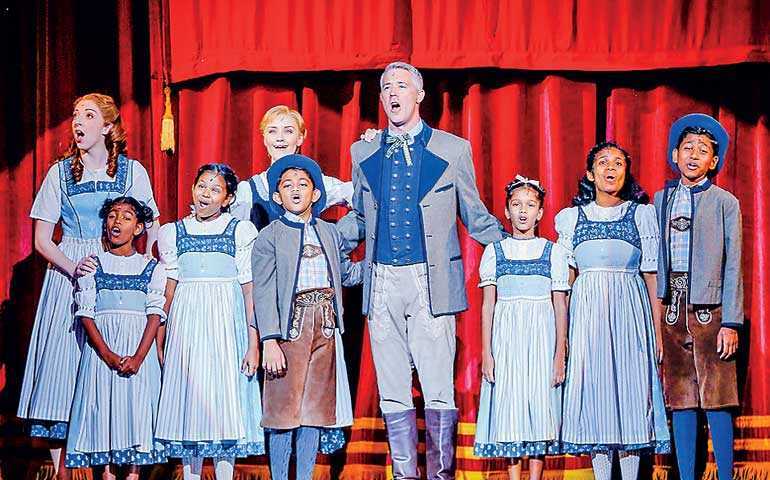 is one of the world’s best-loved musicals of all time and will be performed for the first time in South Asia at the Nelum Pokuna Theatre from 22-30 December. Filled with smash hits by Swedish pop group ABBA, and produced by Benny Anderson and Bjorn Ulvaes, Mamma Mia! is the ultimate feel good show, that will brighten up the holiday season for the entire family. A worldwide phenomenon, Mamma Mia! is a vibrant, modern production, whilst The Sound of Music told a more traditional tale and was equally iconic in its own right. Both productions are masterpieces that have had incredible influencing power and have impacted people across generations. Having touched audiences regardless of their nationalities or backgrounds, these stories are both filled with important life themes that resonate with people from all walks of life. However, both productions are also unique and different in their own way; in their tonality, storytelling and thematic overtones. The Sound of Music (TSOM) is centred around a traditional family structure, aspirations of settling down and self expression. The characters in TSOM focus on finding their place in society, whilst in Mamma Mai! the characters don’t conform to the traditional expectations of society, and the play is all about discovering inner strength and forging one’s own path in the world. Both musicals seem to feature a missing part of a puzzle – a person that completes the story. In the Sound of Music, Maria emerges as the mother and wife figure who fills an important void for the Von Trapp family, whilst in Mamma Mia!, the story calls for a partner for Sophie and a partner for her mother Donna. Both plays focus on the importance of having meaningful and fulfilling relationships with the people who are dear to you and bring out the best in you. For the first time in the country, Cinnamon Life will also give young theatre fans the chance to participate in an exclusive Mamma Mia! workshop, which will be run exclusively for children and youth. To give your child the chance to participate in this one-of-kind opportunity that will enable them to work and learn from world-renowned West End choreographers and stars; Jamie Wilkins and Courtney George, simply buy tickets for two adults and children for the show. A handful of lucky participants will then be selected to attend the fully interactive and free of charge workshop, which will be conducted on 28 December. To find out more about Mamma Mia! and to book your tickets now, visit www.cinnamonboxoffice.comor call 07 1 711 8111. Cinnamon Life presents Benny Anderson and Bjorn Ulvaes’ West End production of Mamma Mia - In Association with HSBC Premier, Destination partner - Sri Lanka Tourism Promotion Bureau, powered by Sri Lankan Airlines. Banking Partner – HSBC, Conceptualised by Cinnamon Hotels & Resorts, Radio partner – YES101 and Legends96.6, Logistics Partner – Hayleys Advantis, Transport Partner – Jaguar Land Rover, Telecommunications partner – Mobitel, Delivery partner – Grasshoppers, Booking Engine partner – Book My Show, Outdoor Media partner – Emerging Media, Cinema Partner – Scope Cinema, Print Media and Web Partners - Sunday Times ,Daily Mirror, Daily FT, Life online, Daily Mirror.lk, Hi Magazine and HI TV, and Sagara Lakmal De Mel – Photography partner.